Picture this: You have a rare three-day weekend ahead, and you've decided that you need a last-minute beach getaway to make the most of those dwindling hours of summer. But to where? Which DMV-area beach town is best? Ocean City or Virginia Beach? 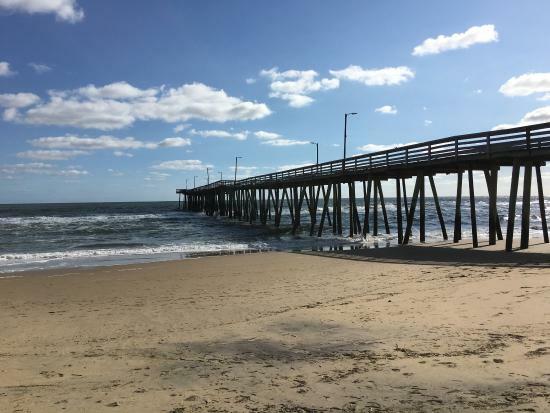 We posed this "Ocean City or Virginia Beach" question to you eight months ago, with Ocean City, Maryland, landing as the overwhelming favorite for a quick weekend getaway. So, after another coastal summer, we want to know now: Does Ocean City still win? 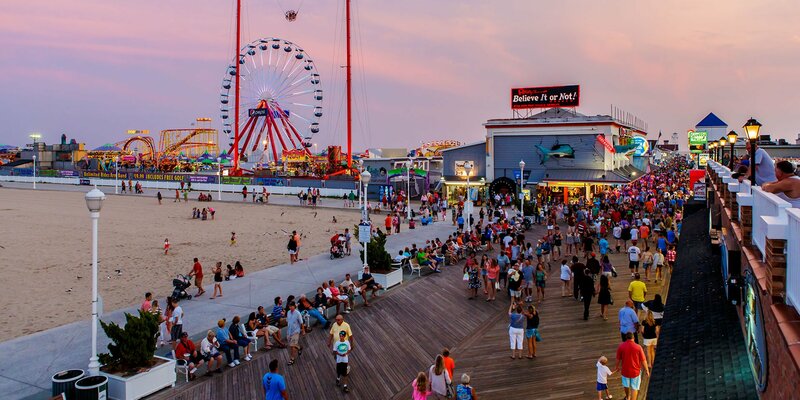 OC: Known for its lively atmosphere, Ocean City's beach is busy and well-populated all summer long. Young people flock to OC for their beach fix, and for good reason -- there's always something going on. I mean, there's even an amusement park on one end! The water may be a tad cooler here than down in Virginia, but it's still swimmable, and OC offers dozens upon dozens of water sport options. Plus, there are entertaining events happening on the beach all.the.time. 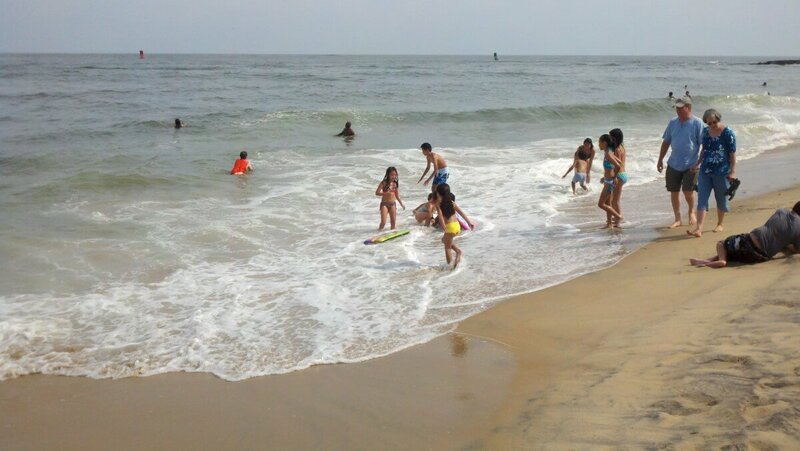 VB: Though very busy in the summer, Virginia Beach doesn't have tourists literally tripping over each other. There's plenty of room for everyone! Also, the water is clean (free even from seaweed! ), and the waves are just the right amount of roughness to be fun without being overwhelming. A teensy bit more reserved and quiet, this beach is thought to be a little more family-oriented, appealing to retirees and people with young children, alike. Fun fact: It holds the world record for being the longest pleasure beach on Earth. OC: I mean ... 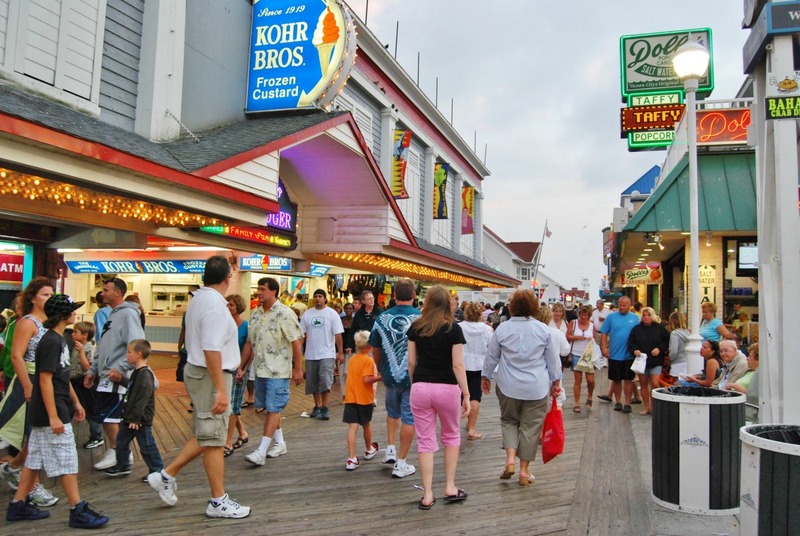 If you like a "touristy atmosphere," Ocean City's boardwalk is the clear winner. Made of actual wooden slabs -- and lined with colorful eateries and kitschy shops, the boardwalk here just oozes resort town charm. Get your funnel cake, your crabs, your pizza, your french fries, your souvenirs -- whatever your guilty pleasure is, if you think it belongs in a place like this, you'll probably find it. 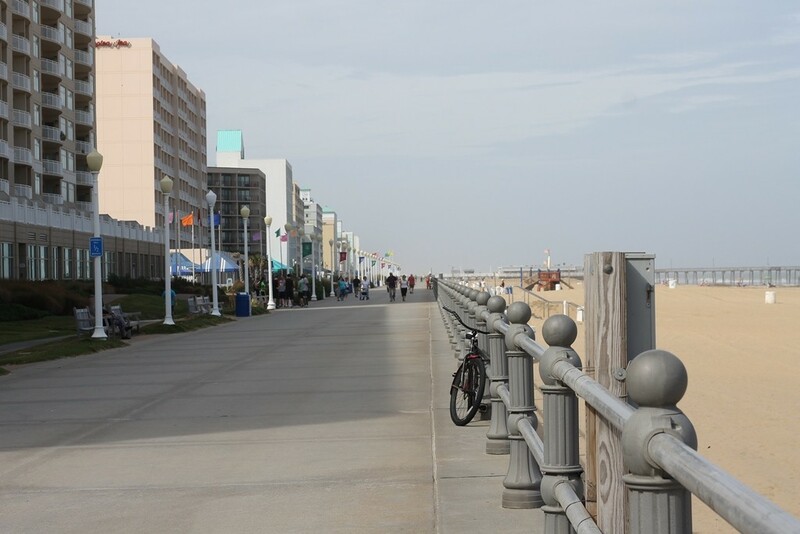 VB: It goes on for three miles, but Virginia Beach's boardwalk is largely made of cement, with an adjacent bike path. That makes it the perfect place to enjoy a morning bike ride (with gorgeous sunrise views) or a long, peaceful, romantic walk at dusk. The only businesses along this stretch are oceanfront hotels with an occasional cafe or restaurant. By and large, it appeals to an entirely different set of people. 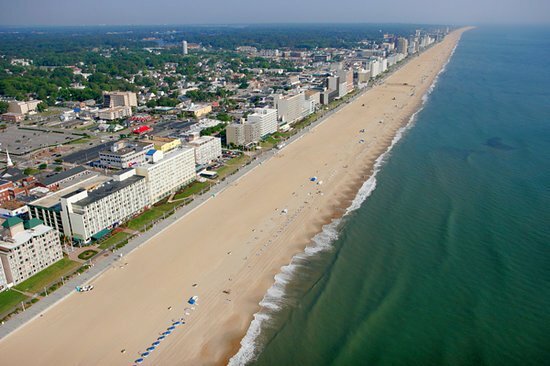 VB: Virginia Beach's population, on the other hand, is nearing half a million, with its coastal resort industry only making up a part of the city, overall. So yes, the suburban city does the beach scene, but it does it subtly and quietly, saying, "Come here for a nice solid, relaxing vacation, and we will leave you to your own devices. Enjoy." That appeals to older people for whom sensory-overloaded OC could be considered "too much," while also attracting families whose children are too small to be underfoot in a commercialized atmosphere. As such, there's not as much readily available entertainment for visitors in Virginia Beach -- but that could be exactly the mindless, calm beach vacation of your dreams. So, we leave it to you! Who wins? 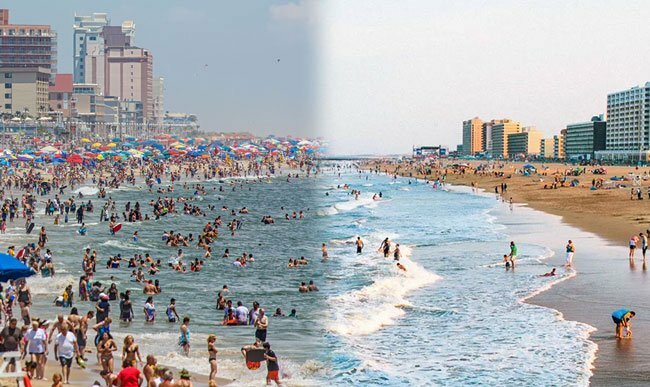 We want to know which you would choose for an extended weekend: Ocean City or Virginia Beach? Tell us in the comments below! Looking for a couple other quick getaway destinations in the DMV? We've got you covered!